The M24 KaRMA2020 Project Meeting took place in Valencia! 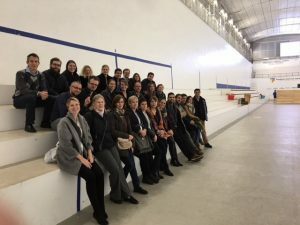 The M24 KaRMA2020 project meeting took place in Valencia, Spain, the 9th and the 10th of January 2019, at the AIMPLAS premise. At the beginning of the last year of the project, KaRMA2020 consortium met together to present an overview of the work completed to date and to discuss the future plans for each work package of the project. 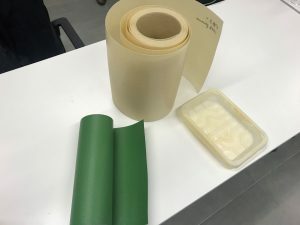 At the meeting, the partners showed to the whole consortium different bio-based material samples realised from chicken feathers waste. Significant advances and concrete results are coming out from the KaRMA2020 project! During the M24 meeting, CiaoTech, leader of the exploitation and dissemination activities in KaRMA2020, organised the first KaRMA2020 Exploitation Workshop, with the purpose to map out the commercial and research development of the project results in the future. The outcomes of the workshop will be key inputs to the Exploitation Plan for the KaRMA2020 project. A second exploitation workshop will be organised during the next project meeting in 6 months!